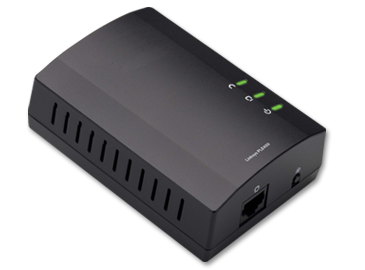 The PLE400 is a Powerline 1-port Fast Ethernet device that has one (1) Ethernet port. It turns your home’s wiring into a network of digital devices since it features one (1) Ethernet port where you can connect a router, computer, or other network device. Power (Green) - lights up when the powerline adapter is powered ON. Ethernet (Green) - lights up when a wired network device is connected to Ethernet (network) port of the powerline device. Powerline (Green) - lights up when the adapter is connected to the powerline network. The LED flashes to indicate network activity. Standby/Reset – Restores your powerline adapter to factory defaults. To do this, press and hold the Standby/Reset button for at least 10 seconds using a pin or a pointed object.